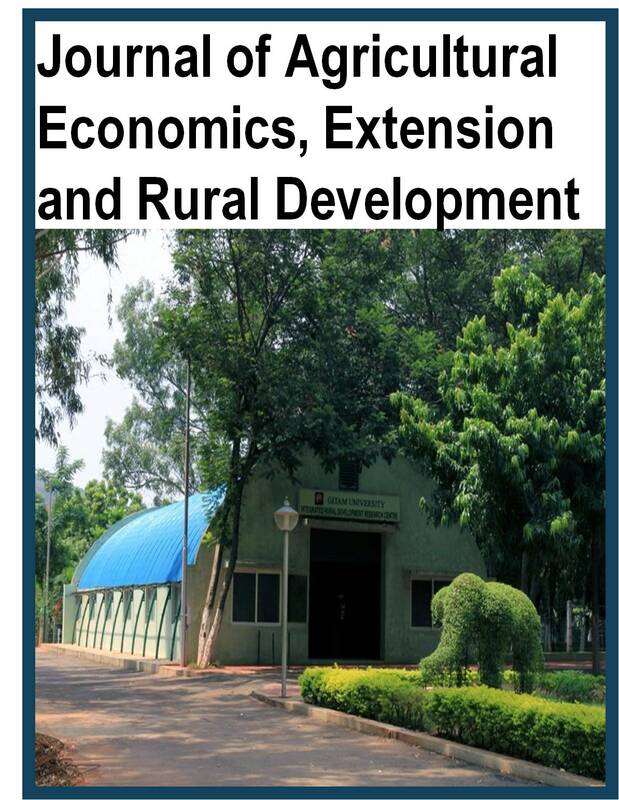 Journal of Agricultural Economics, Extension and Rural (JAEERD) welcomes the submission of manuscripts that meet the general criteria of significance and scientific excellence. Papers will be published about one month after approval. Electronic submission of manuscripts is strongly encouraged, provided that the text, tables, and figures are included in a single Microsoft Word file (preferably in Arial font). Authors are expected to write out their personal information in a cover letter that should include the corresponding author's full address and telephone/fax numbers and should be in an e-mail message sent to the Editor, with the file, whose name should begin with the first author's surname, as an attachment. The journal does not accept number citations in the body of the manuscript. All citations must be in-text citation or in-body citation, that is, cite the author’s name and the year of publication. Note that Journal of Agricultural Economics, Extension and Rural and Development will only accept manuscripts submitted as e-mail attachments. All articles are reviewed by an editor and members of the Editorial Board or capable external reviewers. Decisions will be made as quickly as possible, and the journal try hard to return reviewers’ evaluations/comments to authors within 2 weeks. JAEERD publish accepted manuscripts within one month after submission. Proofs and Reprints: Electronic proofs will be sent (e-mail attachment) to the corresponding author as a PDF file. Page proofs are considered to be the final version of the article. With the exception of typographical errors, no changes will be made in the manuscript at the proof stage. Since JAEER articles will be published liberally online to attract a wide audience), authors will have free electronic access to the full text (in both HTML and PDF) of the article. Authors can freely download the PDF file from which they can print unlimited copies of their articles. Fees and Charges: Authors are required to pay a $350 handling fee. Publication of an article in Journal of Agricultural Economics, Extension and Rural Development: ISSN-2360-798X is not contingent upon the author's ability to pay the charges. Neither is acceptance to pay the handling fee a guarantee that the manuscript will be accepted for publication. Authors may still request (in advance) that the editorial office waive some of the processing fee under special circumstances. However, there are no submission charges. Authors are required to make payment ONLY after their manuscript has been accepted for publication.